It's 8:35 AM and I’m in AP World History, my first class of the day. Whether we’re debating the role of Mongols in spreading the black plague to Europe or analyzing the role of the Islamic empire in Western modernization, Ms. Hall can always be counted on to bring a unique historical perspective to all of her lectures. This is a great way to start the day, there is never a dull moment in our World History class. Next, I perambulate (a word I learned quite recently thanks to the vocabulary units that Ms. Baek has us study weekly) to AP Language where I can expect a spirited discussion on anything ranging from the current state of the water crisis in Africa to a discourse on the etymology of the words we use today. Our week can begin on methods of education, meander to gender roles in society, and on Friday we are studying the cultural implications of language usage. Ms. Baek introduces us to a wide array of topics that might not be your average dinner conversation! Photo: Students including Eva surprised Ms. Baek on her birthday. By now, it’s around 10:30 AM and I’m on my way to AP Calculus. Ms. Das does a wonderful job at both explaining the material and helping us apply the topics that we learn. Whether it’s using integrals to calculate the volume of a revolving cone or derivatives to find the rate of water leaking out of a pool, Ms. Das covers it all quickly and efficiently. Her AP review sessions are incredibly helpful and she always encourages a love of math and learning in the classroom. The easy going nature of our classroom makes learning enjoyable and time flies by quick. Latin is my last subject before lunch. I’m one of two students in this class. Despite, or because of this, our class is very interactive and engaging. Earlier this year, we took the National Latin Exam, and it gave us a chance to study Roman history and culture. During class, we practice grammar and Latin conversation. At lunch, I hang out with my friends and we catch each other up on our days. Around 1:10 PM, the afternoon session begins and I head off to AP Biology. In ninth grade, I took Honors Biology with Dr. Hahn, so my class had already covered most of the AP curriculum. However, in tenth grade, Dr. Hahn teaches us how to apply the material that we learned and how to think analytically about, and apply, biological concepts. For example, in ninth grade we learned about the structure of DNA, and this year we furthered that knowledge and learned how genes get expressed through signal transduction pathways. By looking at the bigger picture, we linked signal transduction pathways to gene mutations and cancer. It’s great that Dr. Hahn teaches both years of biology. We don’t waste time revisiting material that we already covered. Instead, we build on the foundations and are able to study at an accelerated pace. Chemistry class follows Biology; where I’m greeted at the door by my teacher, Ms. Delaney. I did not go to BASIS Independent Brooklyn in eighth grade so I have never studied chemistry, but Ms. Delaney perfectly summarizes everything with her PowerPoint presentations and note packets. I learned Lewis Dot structures, chemical equations and even got to debate if Schrodinger’s cat was truly dead, alive, or suspended in a middle state; curiosity may have killed Schrodinger’s cat. Our class labs are all very interactive with each student expected to contribute. We always rotate partners to be able to work with everybody. The labs take our lessons out of the textbooks and into our lives. During one of our labs we measured the percentage of food dyes in our favorite drinks. I haven’t looked at Gatorade or Kool-Aid in the same way again. 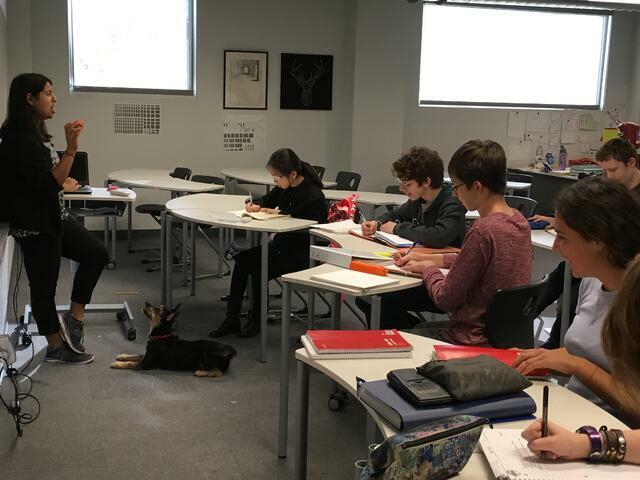 Photo: Ms. Das teaching AP Psychology class with the assistance of her puppy, Leo. AP Psychology, taught by Ms. Das, is my final period of the day. At the start of the school year, I was reluctant to add another AP class to my already heavy load. However, from the first lecture I was hooked. Ms. Das put such an interesting spin on early psychological history and institutions that I knew that I had to take the class. Ms. Das has made the class fun. She brought in her dog to demonstrate classical conditioning and positive/negative reinforcement, and she even asked us to create our own personality tests as well as make our own psychology review games to help us remember material. BASIS Independent Brooklyn offers us a wide variety of extracurricular activities, and I have tried to take advantage of them. On Tuesdays, I am a peer tutor where I one-on-one tutor an eighth grader in math and science. In addition, our debate team meets then. On Wednesday, I have Model UN. 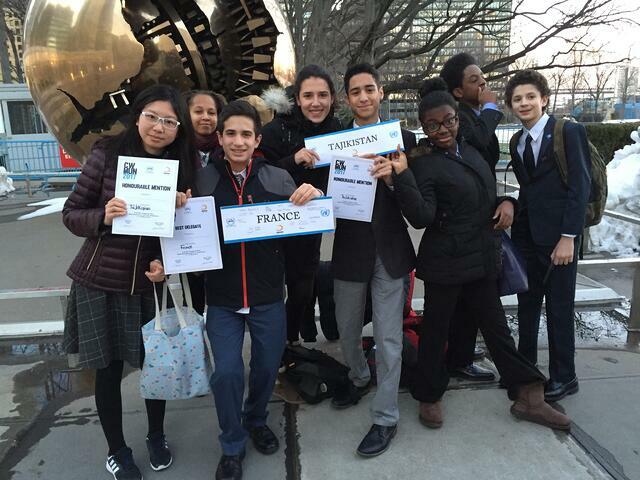 Our club has gone to two conferences this year, in Washington D.C. and at the United Nations in New York. On Thursdays, our creative writing and literary magazine club meets. I am an editor of the magazine and we have published an anthology of student pieces. Ms. Baek worked with a group of students to organize the club. That is what makes my school great, everyone is open to starting clubs that students are passionate about and encourages us to seek out and develop our broad interests and talents. Position Paper for middle school and General Assembly Plenary Honorable Mention for high school. 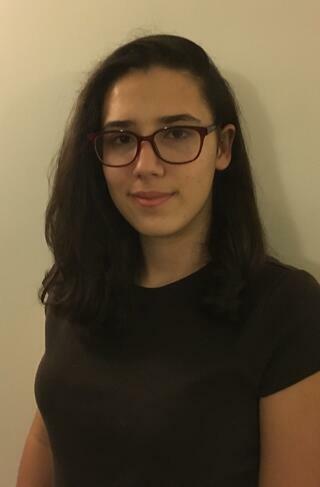 Thank you so much, Eva, for helping provide an inside look and perspective on your experiences at our high school! For a look at sample schedules for our high school students please click here. 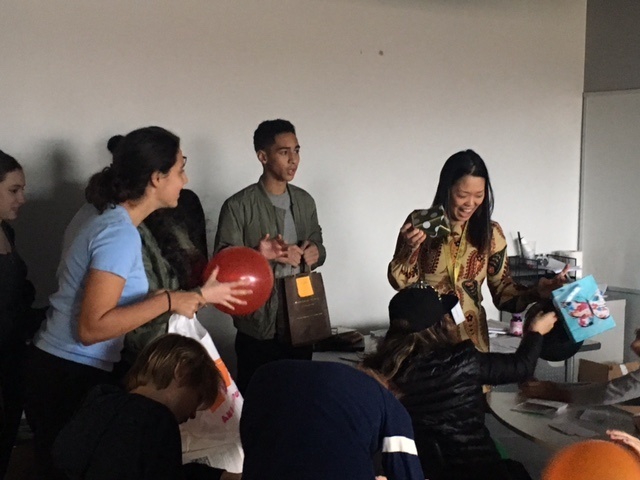 Students who apply to BASIS Independent Brooklyn may arrange a shadow day with a current student during the school year to experience a "day in the life" of our students first hand.